Are you often confused by some of the things your photographer friends say? Like any hobby or pastime, there are common photography terms that we all come to learn, and then there is some of the more bizarre slang you can spend a lifetime behind the lens never understanding. Below we’ve compiled a collection of common photography slang and obscure camera acronyms to help lift the veil on their mystery. A loose term to describe an element that degrades picture quality. Anything from the blockiness that can occur when pictures are heavily compressed as JPEGs, to the distortion to pictures that occurs with heavy manipulation – even the effect you see with lens flare. All The Gear, No Idea. A photographer who has lots of camera equipment but doesn’t know what half of it does. A bit of an Uncle Bob, in fact. A rare acronym that you’ll only see floating around bird photography forums (download our free bird photography cheat sheet). There’s a clue right there: BIF stands for Bird in Flight, and is usually brought up during lengthy technical discussions about autofocus point selection and focus modes (check out our gallery of 31 great examples of birds in flight). The Sigma 50-500mm f/4-6.3 lens earned the nickname ‘Bigma’ thanks to its considerable 10x zoom range and considerable proportions. Bright areas in a photo that are overexposed are said to be blown out. They won’t hold any detail and will be bleached white. Pronounced ‘boh-kay’, this term is derived from the Japanese word for ‘blur’ and is used to describe the aesthetic quality of the blur in out-of-focus areas of a picture. The faster the lens, and the more aperture blades it has, the smoother the blur tends to be (find out how to make the ultimate bokeh portrait). The act of looking at pictures on the back of the camera as soon as you’ve taken them, usually accompanied by lots of ‘ooh-ooh-oohing’, hence the name. Stand around chimping, and the chances are you’ll be missing some great photo opportunities kicking off right in front of you. This is what happens to the histogram when you grossly overexpose or underexpose a picture (find out how to read a histogram). In an overexposed shot, the histogram will usually be bunched up on the right and parts of it will be ‘clipped’ off by the edge of the graph. If the histogram is bunched up on the left and clipped by the opposite side of the graph, this usually indicates an underexposed photo. An acronym for Depth of Field, or the zone of perceived sharpness in a picture that extends out from the point of focus towards the camera, and beyond it, towards the horizon (for more on this, check out our guide to Depth of Field: what you need to know for successful images). The name given to the ring-shaped bokeh created by the unique construction of a mirror lens. In the wider world, dust bunnies are clumps of dust and fluff that you find drifting around wooden floors. In the camera world, dust bunnies are the annoying dots of sensor dust that show up in the same place in consecutive photos. These usually have to be removed manually (to find out how to do this, check out our safe guide to sensor cleaning). An early and slightly derogatory acronym for what’s now widely known as CSC (Compact System Camera), EVIL stands for Electronic Viewfinder Interchangeable Lens. A fast lens is one that has a wide maximum aperture, allowing you to use fast shutter speeds for any given situation. A slow lens has a small maximum aperture, meaning that shutter speeds will be comparatively slow in the same situation. The focal length of a lens needs to be taken into account when thinking about lens ‘speed’ – a 10mm lens with a maximum aperture of f/4.5 is slow, but a 500mm lens with the same f/4.5 maximum aperture is fast (confused by your lens markings – check out this dictionary explaining all the numbers and abbreviations on your lens). A blip of flash to brighten up the shadows in a daylight picture is known as fill or fill-in flash. Set the flash to Slow Sync mode, and the camera will take care of this for you, automatically balancing the ambient light and flash (find out how to master fill flash in four easy steps). Flare is a (usually unwanted) effect of having bright light sources in the frame, or just out of the frame. When the light source is in the frame, bright/coloured artifacts can be seen in the image. When the light source is just out of the frame but hitting the front element of the lens, it can make the picture appear hazy and washed out. 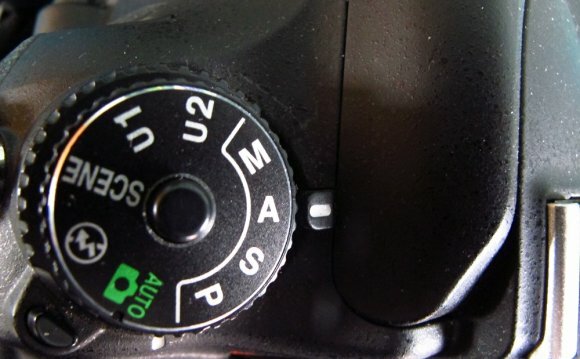 Shielding the front of the lens with a lens hood or your hand can prevent this.